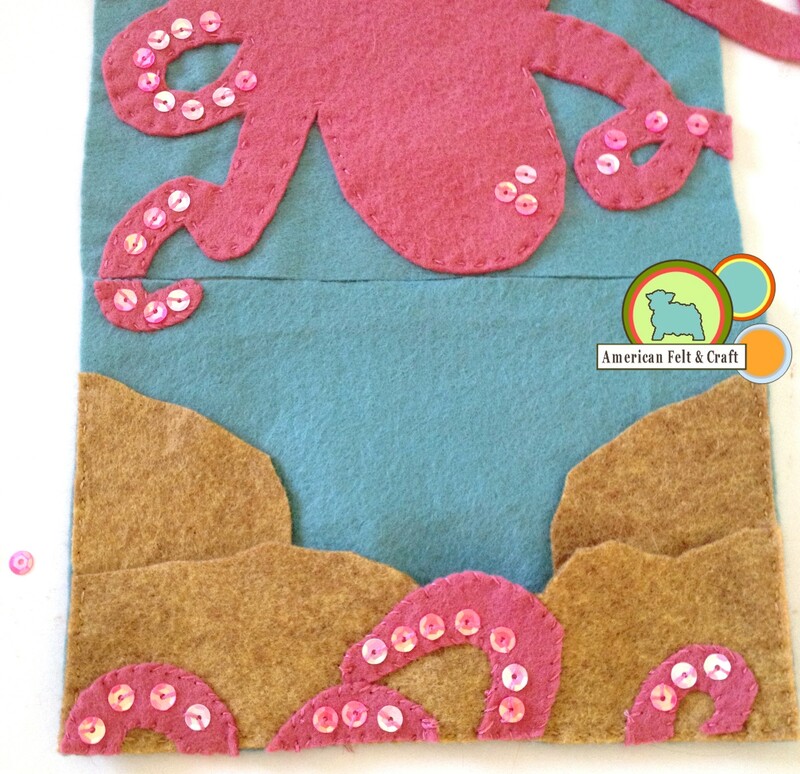 This sea themed needle book features a sequined felt octopus holding all your project needs in his undersea lair. 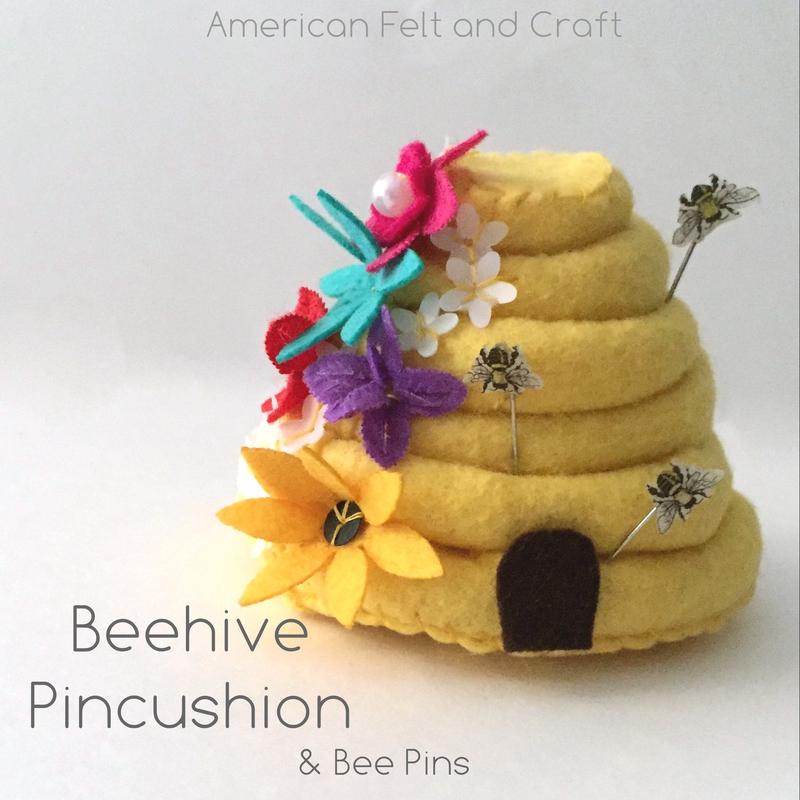 Your fish pins will love the wave shaped book pages and your organized side will appreciate the small thread pockets on the sandy felt bottom and sides. 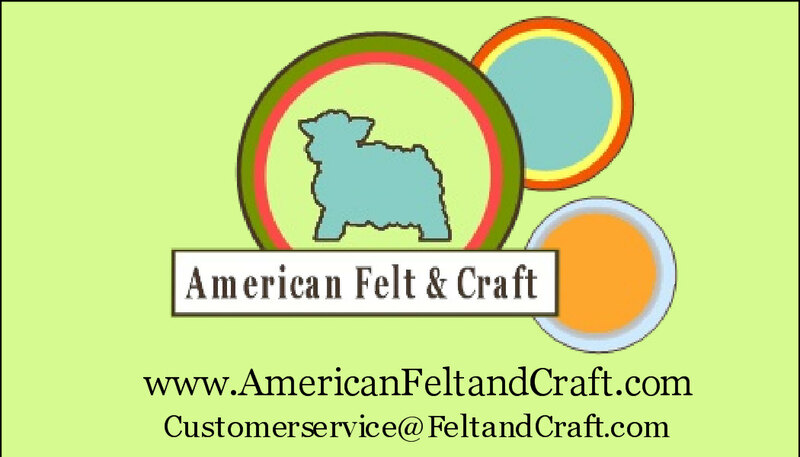 The pockets are perfectly sized for small thread scissors 4″ or less and can easily hold 4 or more colors of thread on each side. One long tentacle wraps around to a faux pearl button closure keeping everything safely tucked away until project time. 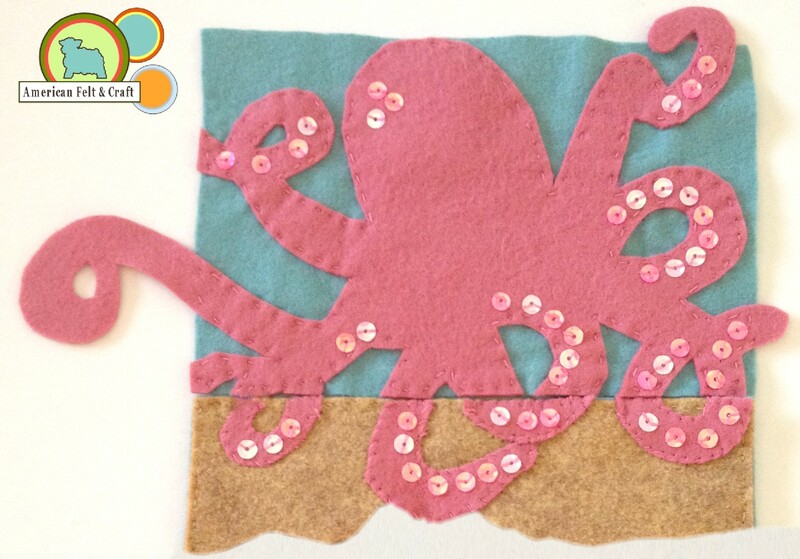 Pin octopus shape to 1 rectangle and mark where you would like to add sequins. This can be done with a sharp pencil. Do not worry about marking the pieces that extend over we will get to those later. Sew sequins where desired. I alternated the two pinks for a little more depth. 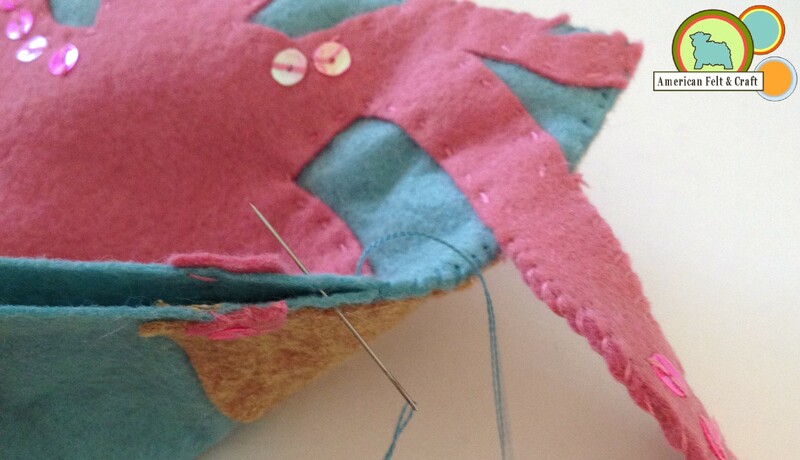 Stitch octopus shape down sewing across the any of the pieces that extend over. Cut loose the bottom extended pieces along the bottom edge. Add sequins and line up with sand base as shown and sew down. 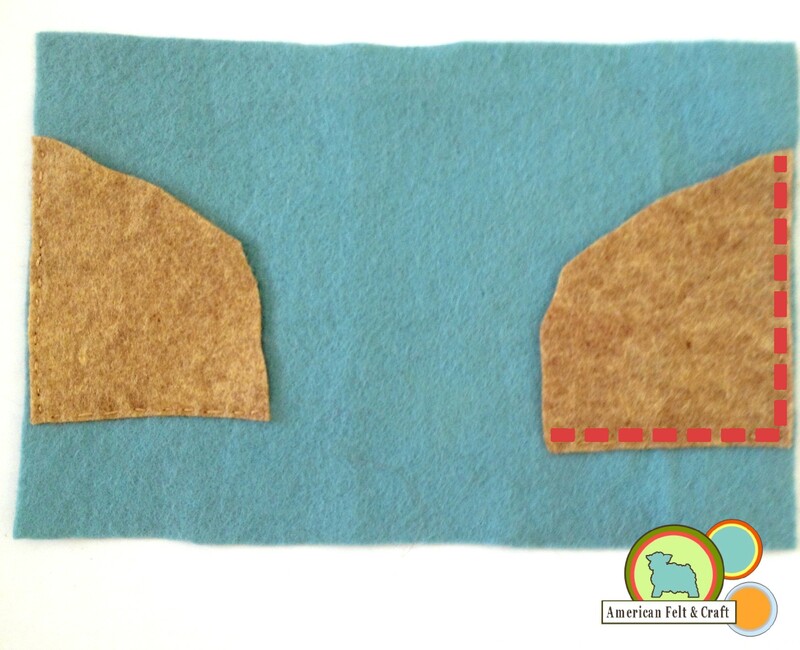 Sew side pockets to opposite sides of the back of the felt needle book. 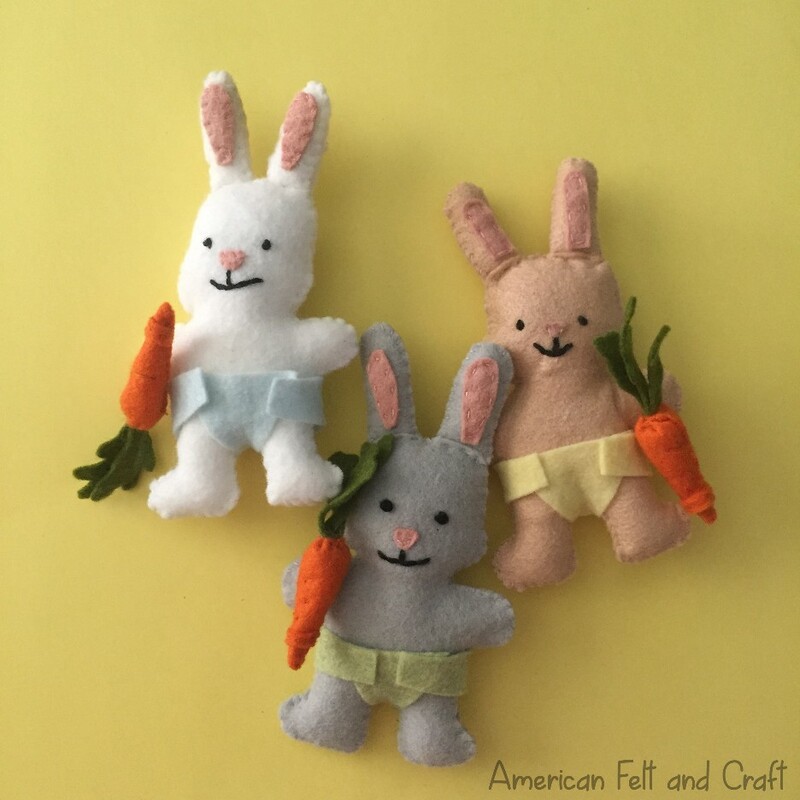 Sew along the straight edges with a running stitch and matching thread. 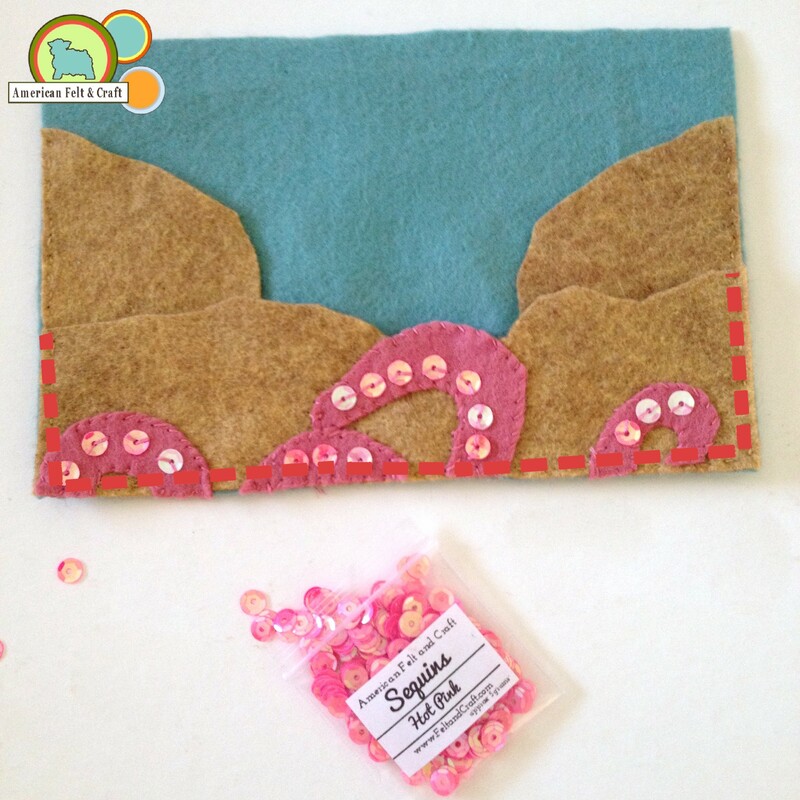 Sew embellished sand base to the bottom of inside page using a running stitch and matching thread as shown above. 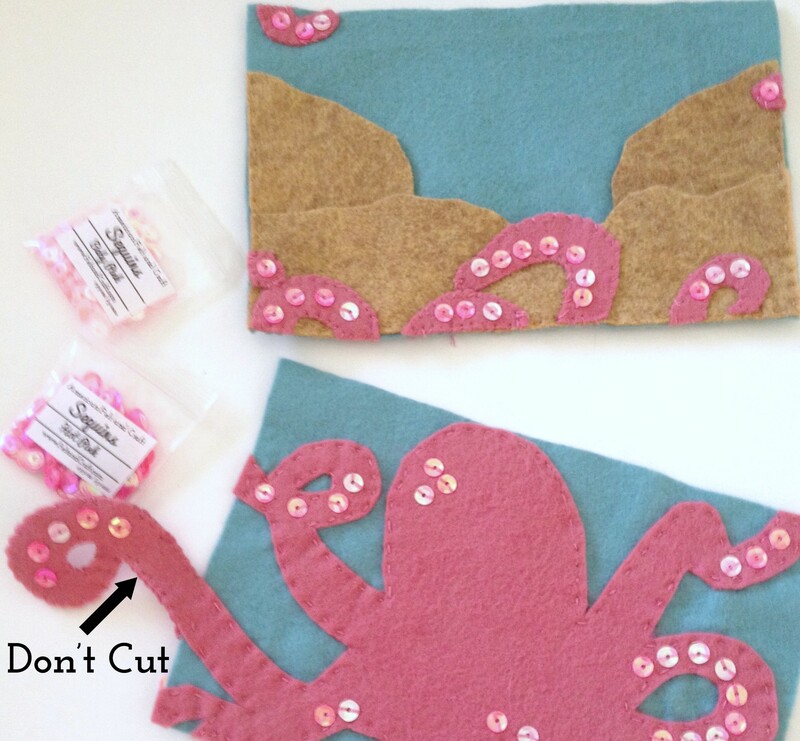 Continue lining up the extended octopus pieces moving them to the inside pieces. 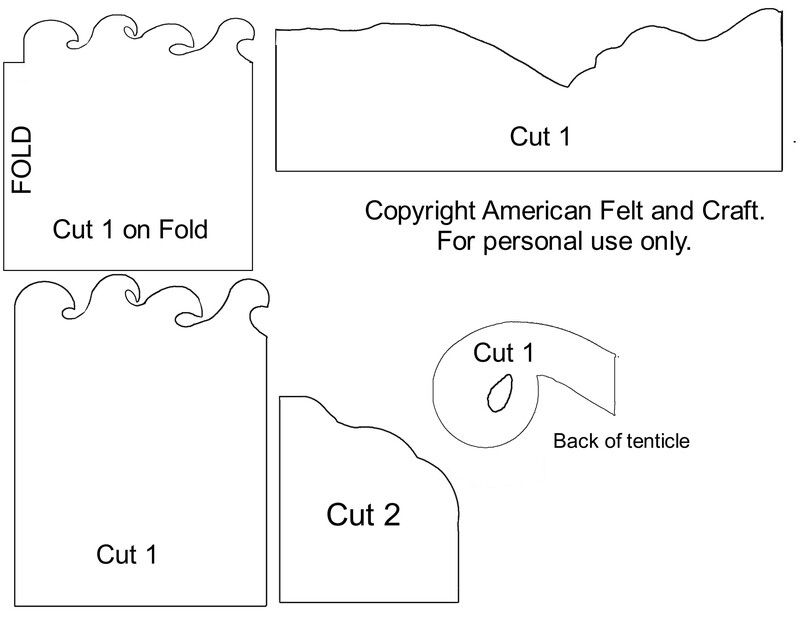 DO NOT cut the main tentacle (marked on template). Fold inside piece in half to find the center. Lay tall wave piece in the center of the long smaller wave piece and sew down using a running stitch and thick thread. 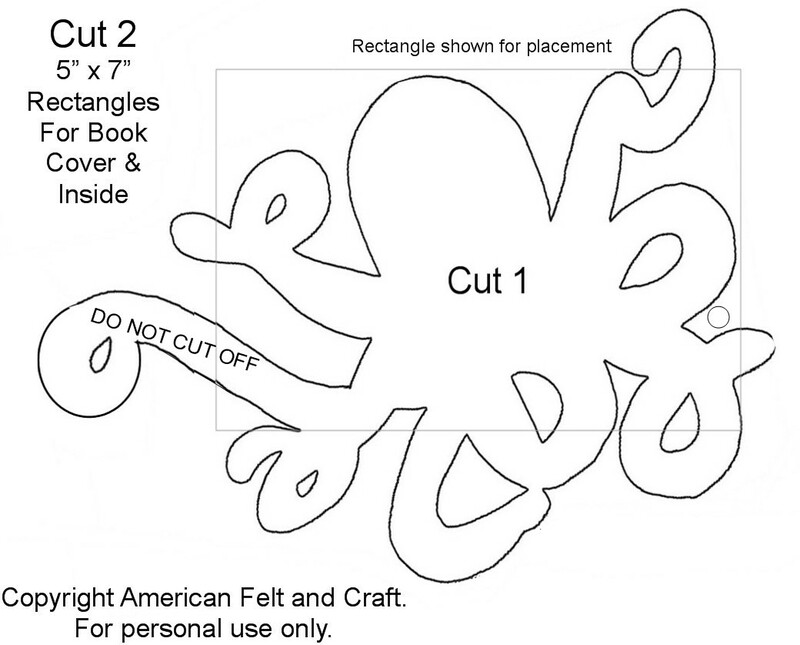 Attach tentacle to back side of the attached tentacle on front cover using an overcast stitch. 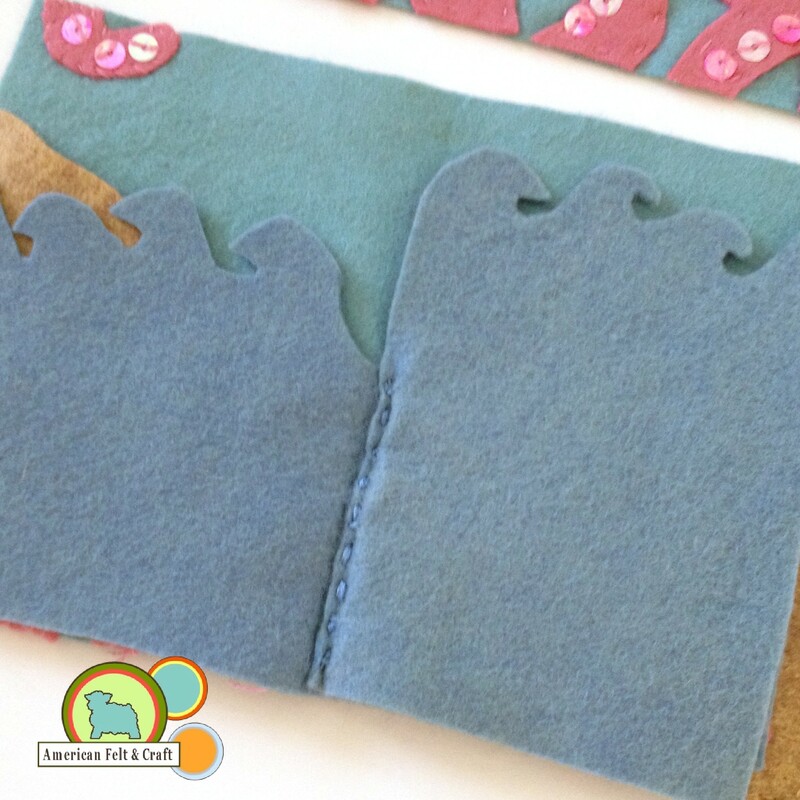 Sew both sides of felt needle book together using an overcast stitch and matching thread. 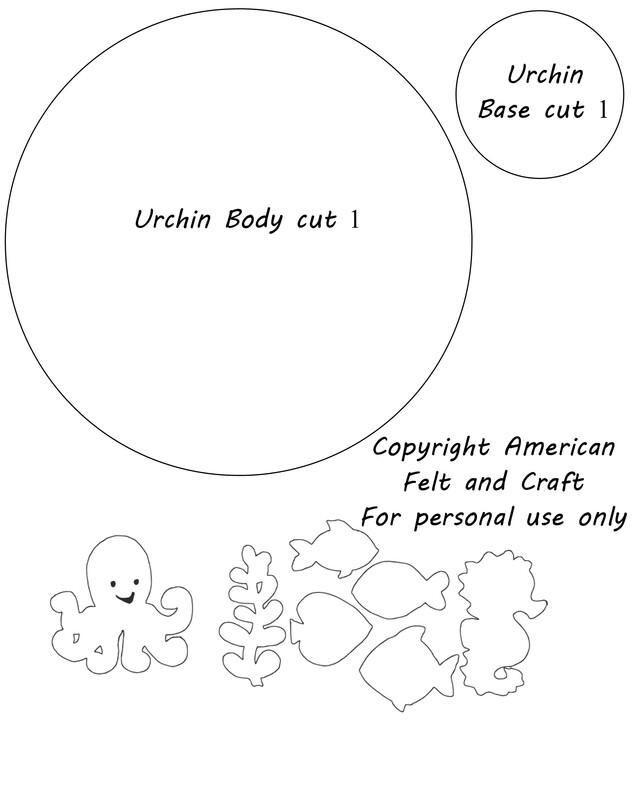 Place faux pearl button where marked on template. BAM! 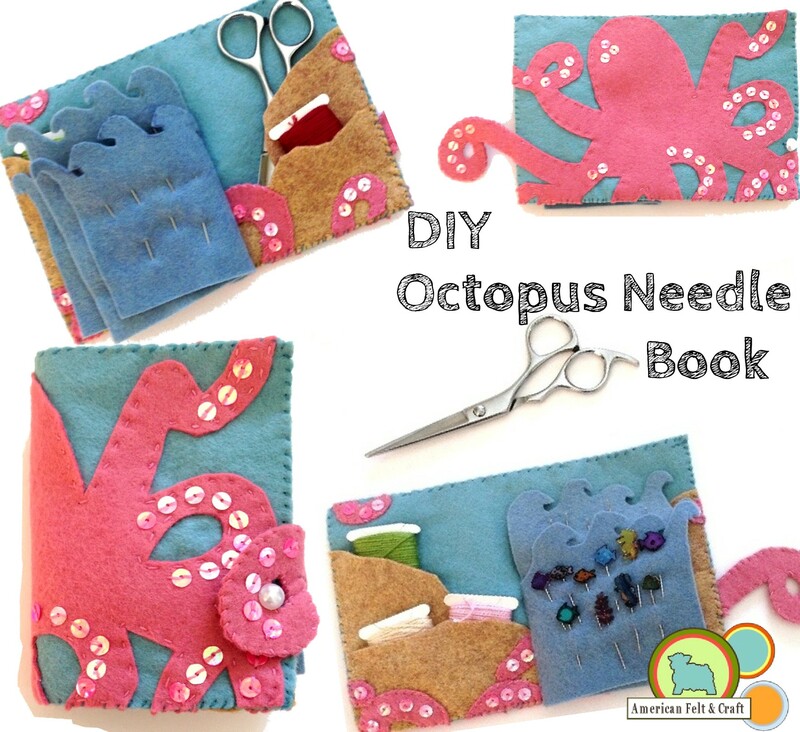 You’ve got yourself one awesome octopus needle book! Go You! 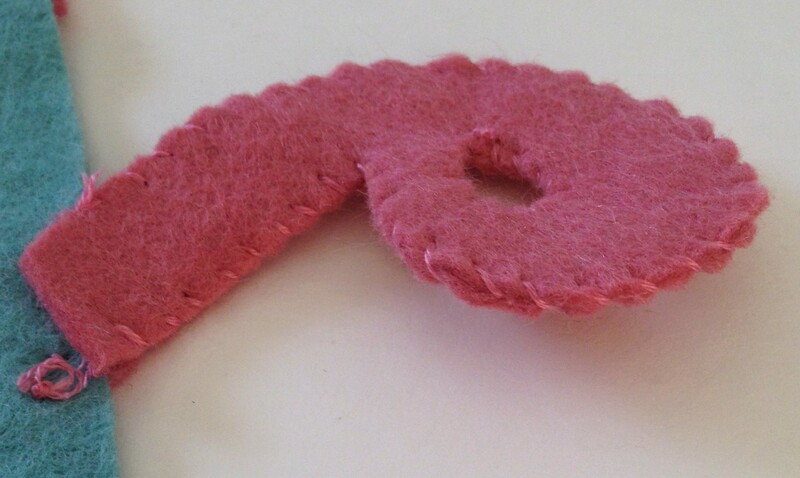 Branching Coral Felt Bookmarks are in! 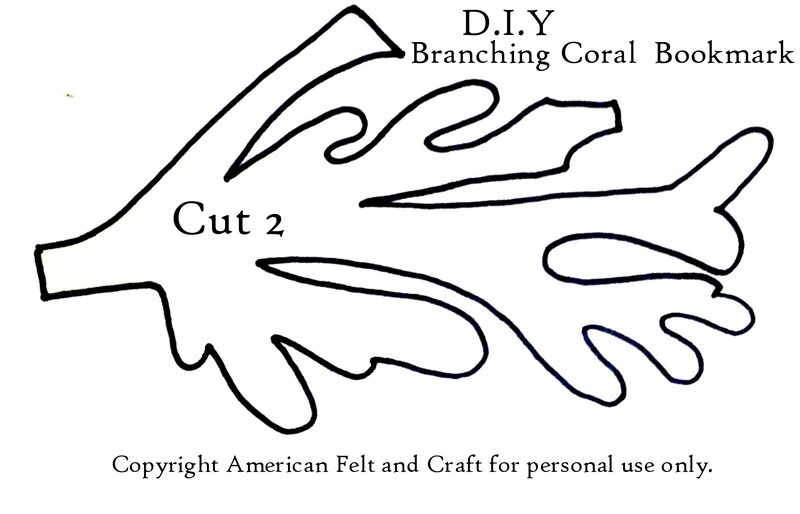 Branching Coral Bookmarks- What all the fashionable books will be wearing this summer. Attaching sequins to felt has become a borderline obsession over here and what can I say I am a sucker for a theme! 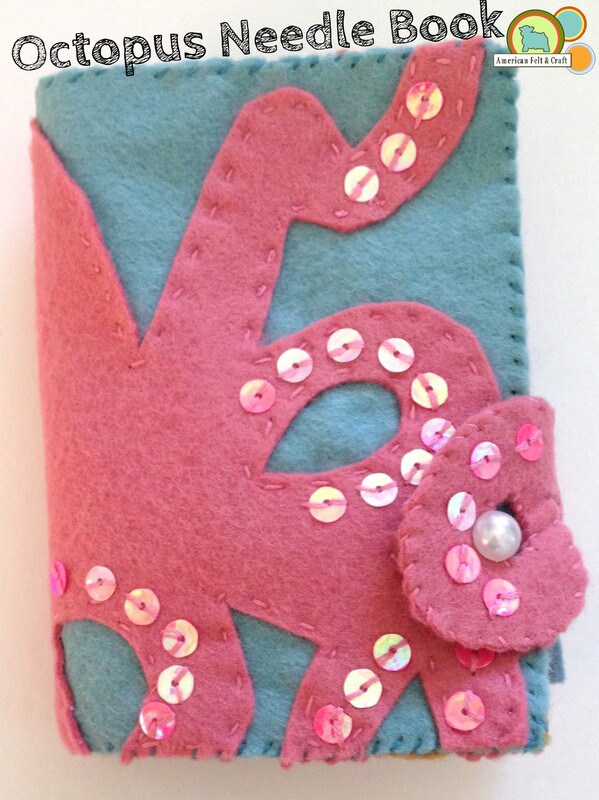 Continuing our ocean theme – a lovely branched sea coral bookmark with sequin accents. This stylish branching coral bookmark is sewn entirely by hand. Making it a great take along project. 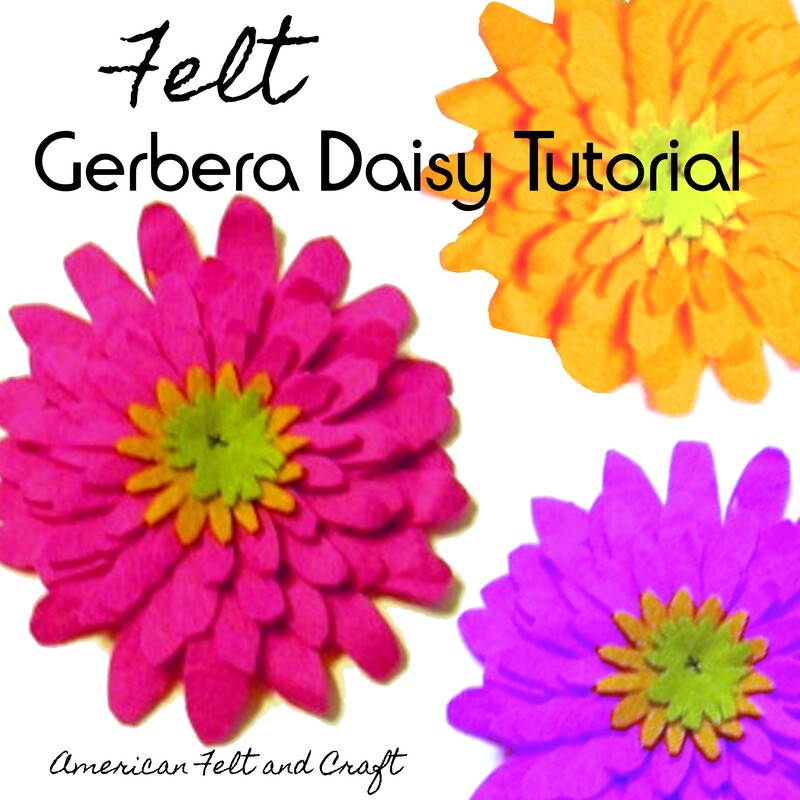 The Coral sequins are a fiery accent over this lavish orange pink felt background. It’s what all the fashionable books will be wearing this summer! 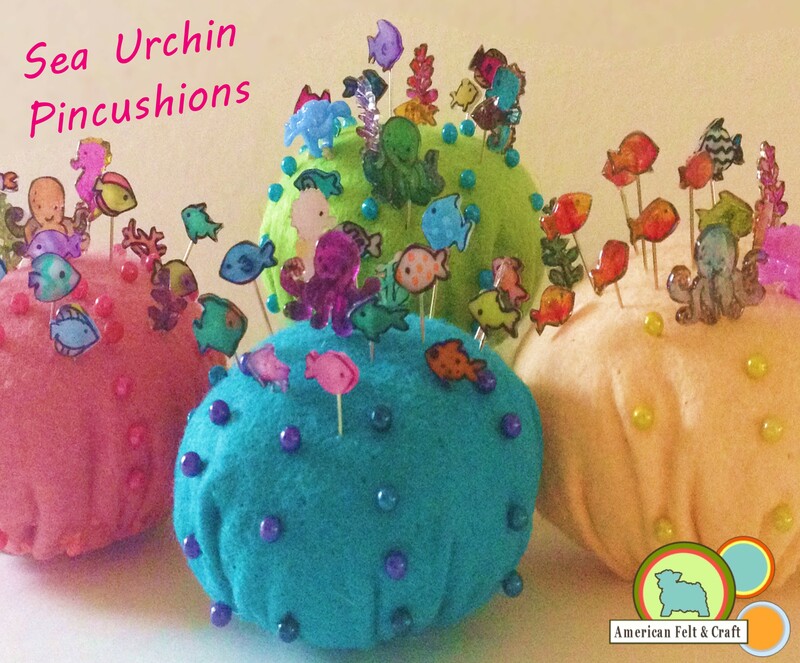 Outline the areas where you plan to attach sequins this will help keep your lines straight. 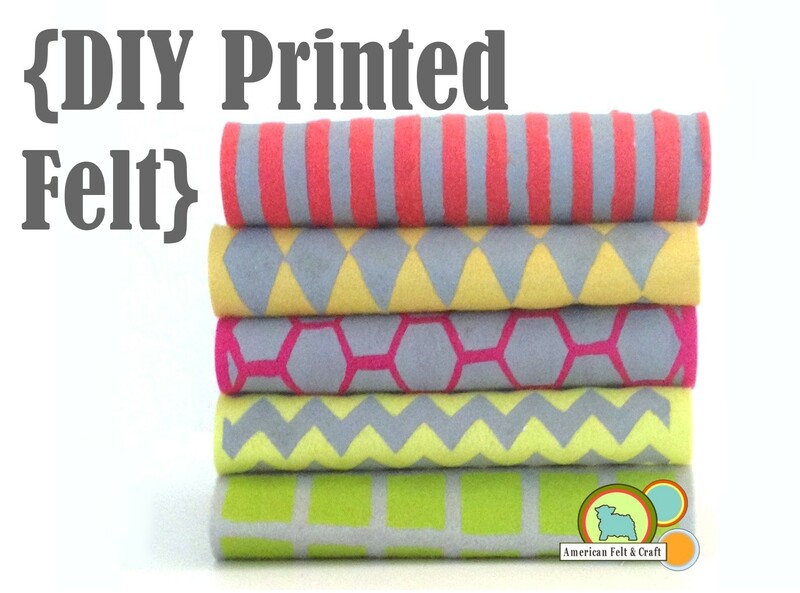 Attach sequins for help on how to do this see our post on attaching sequins. 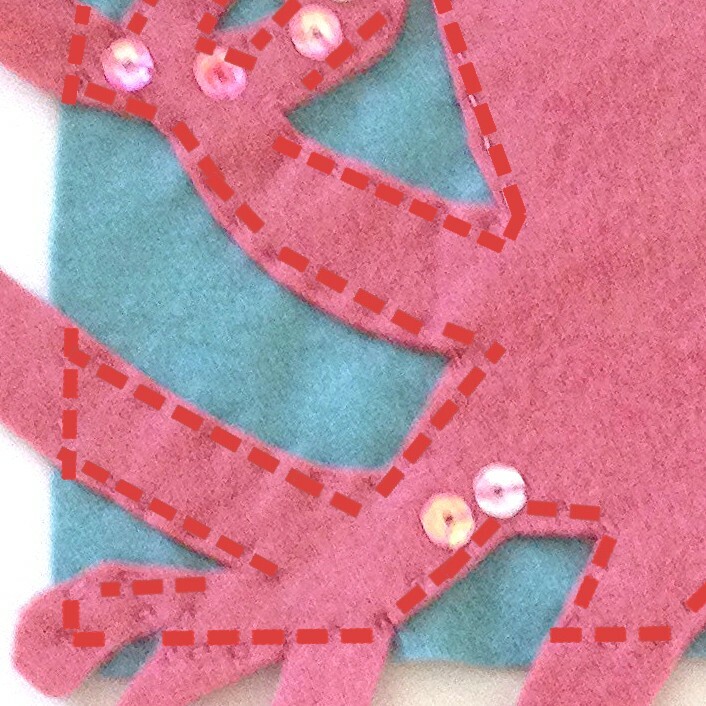 Then simply overcast stitch both coral pieces together. 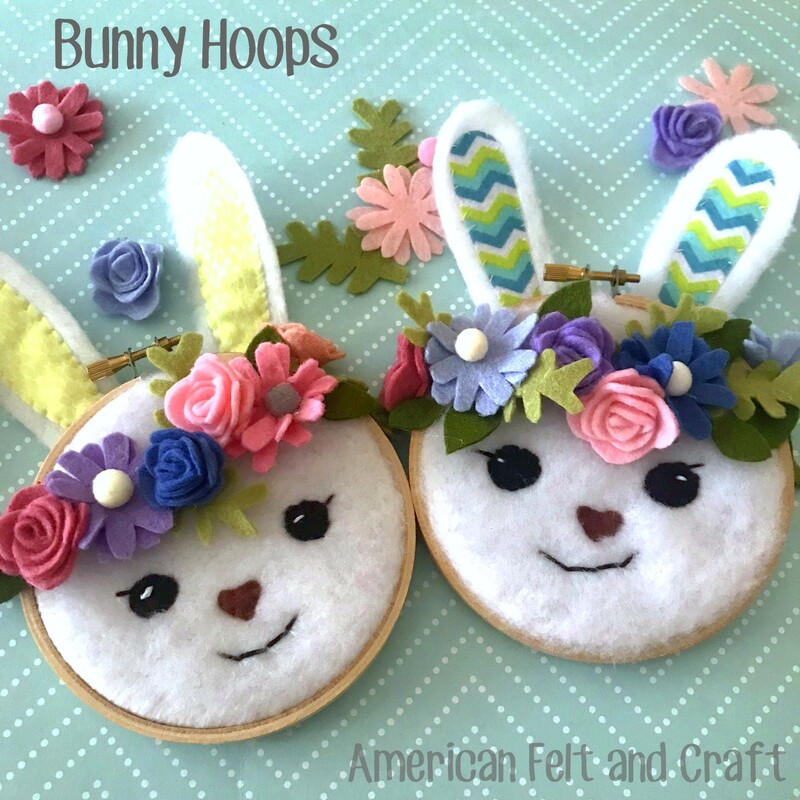 Easy peasy and oh so fab! 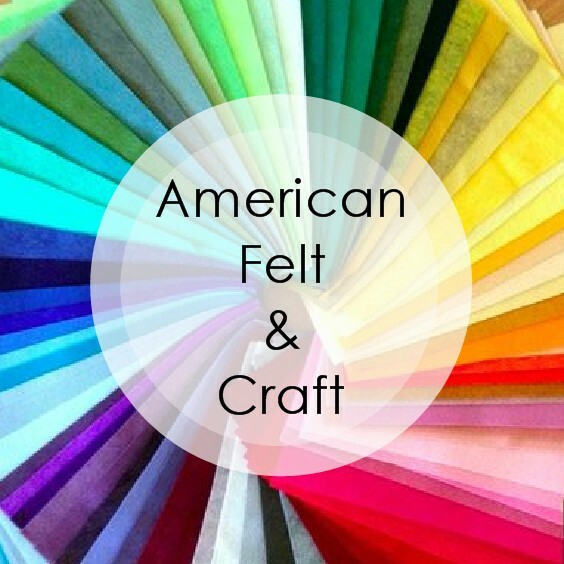 Happy Reading and Happy Crafting!